Over/Under: Under 176.5 at 1.90 Bet Now! The two teams locked at the top of Group F with 7-3 records clash in Moscow this week and the winner will take clear possession of the top of the table. When these two teams clashed two months ago, Laboral won by 10 points, by a score of 81-71, which could also impact on the game tonight if CSKA are determined to clinch the head to head. While CSKA have an extremely strong team, you can see why so many people focus on the dynamic duo of Milos Teodosic and Nando De Colo. These two players are at the heart of everything good that CSKA pulls off and if they hit top form, it is virtually guaranteed that the Moscow side will win their game. CSKA is the leader with respect to the average performance index rating, with 108.4, they lead the scoring form, with an average of 92.7 points per game and they also lead the way with three point accuracy, with a return of 43.6%. At home, this rises to 48.3%, so there is a lot to be said for the way that CSKA Moscow go about their business at home. 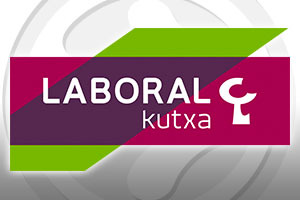 Of course, there is a great deal to be said for the way that Laboral go about their business in general. Ioannis Bourousis has been in excellent form this season and in the previous clash between these two teams in the Top 16, he was the star man. Bourousis provided a double-double with 19 points and 13 rebounds and his performance was strong enough to ensure he shared the MVP honours that week. If Bourousis can reach a peak performance, there will be a lot of opportunities for the away team to put the hosts under pressure and claim top spot of the group. This could well be the biggest game of the week and it is one that will definitely grab attention in this week’s Euroleague roundup. 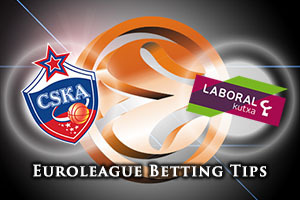 The bookmakers think that CSKA Moscow will demolish Laboral and with that in mind, it is worth taking Laboral Kutxa Vitoria Gasteiz at +12.5 at odds of 1.90 for this game. If you are looking at the Over/Under market, look to go UNDER 176.5 at odds of 1.90. Bet Now!